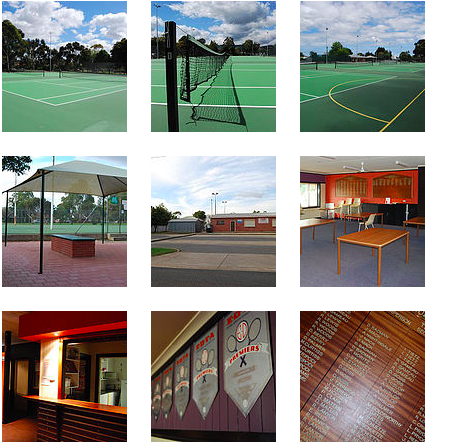 With beautiful surroundings in the leafy suburb of Campbelltown and the Adelaide hills as a backdrop, CTC is the perfect place to come and enjoy your tennis, whether it be competitive or social! CTC is affiliated with both the EDTA and Tennis SA and aims to provide affordable memberships for players of all standards across our club, whether they be senior or junior players, social or competition level from the beginner to advanced. We won't be beaten on our membership value anywhere in the EDTA! - Large undercover BBQ area for spectating, club events and socialising, as well as covered seating court-side so you can get up close to the action. - Local park lands abutting the courts with a lawn area and a playground to keep children safe and non tennis playing people entertained.